It is a comparative study of Max Frisch’s 1954 novel Stiller and Roman Polanski’s 1976 psychological thriller The Tenant. I focus on the issues of identity and doubling and how the clash between the subjective identity and the imposed/expected societal identity leads the protagonists to adopt various forms of doubling and alter identities. Where’s your favourite place on campus to work/study/research? In my study space at Weldon library because it is very private and quiet, so I can concentrate on my studies. Also, it has a great view! The incredible support of the faculty members first and foremost. It is not advice – just that you will enjoy every second of it. 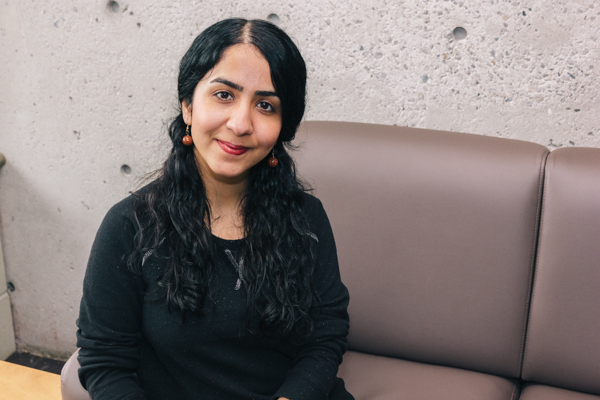 Western’s program in Comparative Literature has recognized strengths in various literatures (especially – but not limited to – American, Canadian, Classical, English, French & Francophone, German, Hindi, Italian, Portuguese, Romanian, Russian and Spanish). What distinguishes it from similar programs across the country (Toronto, Alberta, Montreal...) is the insistent focus on critical theory, postcolonial literature, East-West cultural relationships and inter-media studies (particularly visual art and film). Many of those teaching in the program are well established scholars of Medieval, Renaissance, Baroque and 18-20th-century cultures. Our MA students are employed as Teaching Assistants. A minimum average of B+ (78%) for the last two years of study. In addition to proficiency in English, the M.A. Program requires for admission proficiency – at a level sufficient to read original texts and pursue graduate-level work – in a language in which research can be supported by the Program`s core faculty. The Test of English as a Foreign Language (TOEFL). Minimum acceptable score is 610 for the paper and pencil version, 255 for the computer version, or 102 for the internet version with no individual score below 20. [Western's TOEFL ID is 0984]. The International English Language Testing Service (IELTS). Minimum acceptable score is 7.5 out of 9. The Michigan English Language Assessment Battery (MELAB). A minimum of 90 overall with no score under 85 on each of the three parts, plus the oral/speaking component is required for entry.